There has been a popular coffee based diet called Bulletproof that has gained much attention. Among Bulletproof coffee’s listed benefits: It triggers weight loss by way of ketosis, a metabolic state triggered by a lack of carbs that kicks fat-burning into overdrive; it kills pesky cravings; and it boosts cognitive function. We’ve created a variation of the “Bulletproof” Weight Loss Recipe replacing coffee with the very popular Dandy Blend coffee substitute health beverage. Why Dandy Blend instead of coffee? 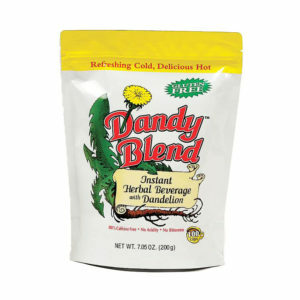 Dandy Blend tastes a lot like coffee and it’s acid free, caffeine free and gluten free. It also contains dandelions which are known for their ability to cleanse the liver, detoxify and purify the blood. 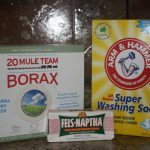 All these ingredients are available through Willow Health & Wellness Center…with the exception of the grass fed butter. 1/2 Teaspoon Cinnamon Put everything into blender and blend for 5 to 10 secondsDrink DandyProof to your hearts delight. 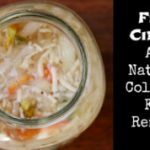 Lose weight at the same time, gain mental clarity and avoid adding the unnecessary acidity of coffee while drinking a delicious health beverage coffee alternative.